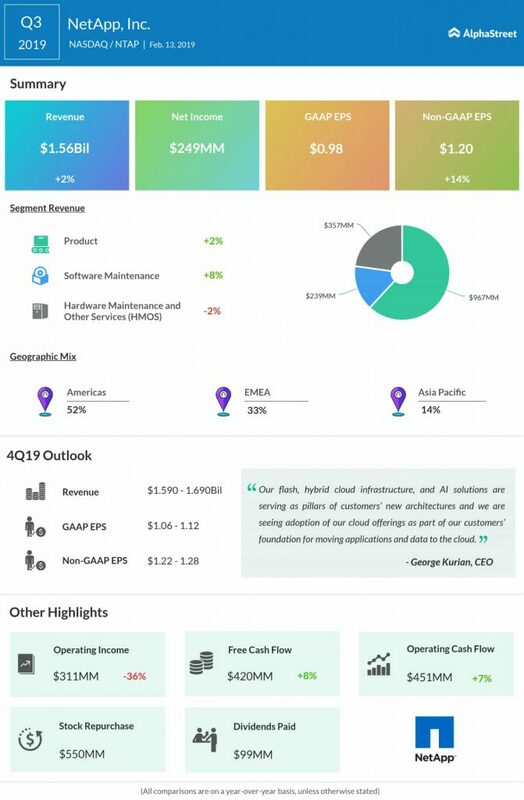 NetApp Inc. (NTAP) reported better-than-expected earnings for the third quarter of 2019 but revenues fell short of expectations, sending the stock tumbling over 7% in aftermarket hours on Wednesday. Total revenues grew 2% to $1.56 billion from the same period last year, but missed consensus estimates of $1.6 billion. On a GAAP basis, the company reported a net income of $249 million or $0.98 per share compared to a net loss of $479 million or $1.79 per share in the prior-year quarter. Adjusted net income was $305 million or $1.20 per share. 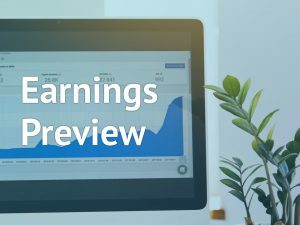 Analysts had projected EPS of $1.15. NetApp posted revenue increases in product and software maintenance but hardware maintenance and other services saw a decline. Strategic product revenue grew 2.5% to $674 million while mature product revenue dropped slightly by 0.6% to $293 million. In terms of geographic mix, Americas comprised 52% of revenue, with the majority coming from Americas Commercial. EMEA made up 33% while Asia Pacific comprised 14%. Looking at pathways mix, 81% came from Indirect while 19% came from Direct. 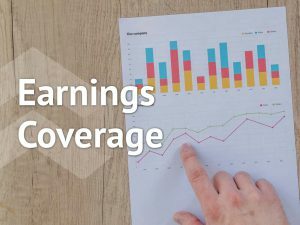 For the fourth quarter of 2019, the company expects net revenues of $1.59 billion to $1.69 billion. GAAP EPS is expected to be $1.06 to $1.12 while adjusted EPS is expected to be $1.22 to $1.28. The company declared a cash dividend of $0.40 per share, payable on April 24, 2019 to shareholders of record on April 5, 2019.